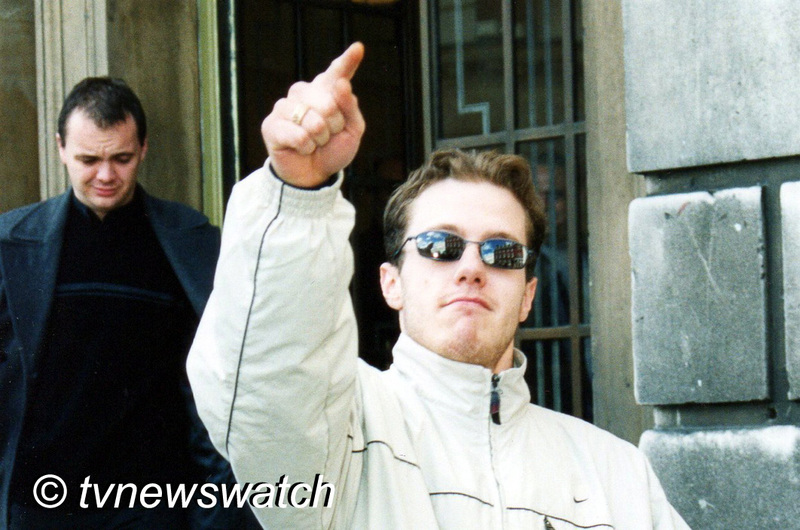 Gary Dobson and David Norris have been convicted and jailed for a minimum of 15 years and two months and 14 years and three months respectively for the racist murder of black teenager Stephen Lawrence 18 years ago. 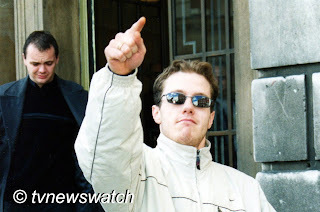 Gary Dobson, 36, and David Norris, 35, [pictured in 2000 above left to right] both of south London, denied murdering the teenager but after a trial lasting around six weeks a jury delivered a guilty verdict at the Old Bailey. The case had been a long time coming for the parents of Stephen Lawrence who had waited years to see justice. But outside the court the mother of the murdered teenager said the verdict was not a cause for celebration. "How can I celebrate when my son lies buried?" Doreen Lawrence told reporters [BBC]. The trial, based mainly on forensic evidence, showed that both the accused had been at the scene of the murder. Scientists found a tiny bloodstain on Dobson's jacket that could only have come from Lawrence. They also found a single hair belonging to the teenager on Norris's jeans. Scientists recovered the material from the clothes of the suspects which had been seized in 1993 and used advanced techniques to match them to the victim, tests which were not available to the original case scientists. Stephen Lawrence was stabbed to death by a gang of white youths in Eltham, south-east London, on 22 April 1993. A murder trial against two suspects, Neil Acourt, then 17, and Luke Knight, who was 16, was dropped by the Crown Prosecution Service in July 1993, citing insufficient evidence. A private prosecution was also brought the following year against Acourt, Knight and three others, Jamie Acourt, David Norris and Gary Dobson, but this failed to bring about a successful conviction. Charges against the original two suspects were dropped before the trial due to lack of evidence, and the three remaining suspects were acquitted at the trial when the judge ruled that the identification evidence given by Lawrence's friend and witness Duwayne Brooks was inadmissible. In opening the proceedings Judge Mr Justice Treacy had warned jurors not to discuss the case with "curious friends and family" and banned them from consulting the Internet, so as not to jeopardise a fair trial. Such research would have revealed a chequered history for both the suspects. As well as holding racist views and a fascination with knives, facts that were presented to the jury, both Dobson and Norris had been arrested and charged with several crimes since the murder. Dobson was jailed for five years in 2010 for drugs trafficking. He is among a small number of men to have been tried twice for the same crime after the Court of Appeal quashed his 1996 acquittal for the murder. Norris was convicted in 2002 of a separate allegation of racially threatening behaviour. Both individuals were also convicted in November 2000 after pleading guilty to stealing 14 beer kegs valued at £1,000 from a pub in Essex. Described by their lawyer as "unemployable" since being named among the five suspects in the murder of Stephen Lawrence, each were fined £100 with £60 costs.